Specific germination requirements have not yet been documented. Warm (68-86°) and cold (36-41°F for an additional 90 days) stratification recommended. Vegetatively propagated by stem cuttings or dormant rhizome fragments. (Rook, 2002); hardwood cuttings easily establish (Leigh, 1999). 2) Leigh, Michael. Grow Your Own Native Landscape. Native Plant Salvage Project, WSU Cooperative Extension-Thurston County. Revised ed. June 1999. 3) Pojar, Jim and Andy MacKinnon. 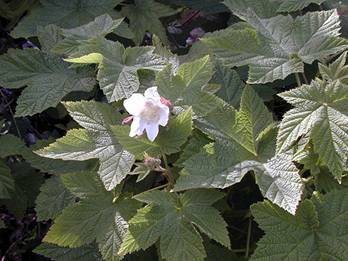 Plants of the Pacific Northwest Coast-Washington, Oregon, British Columbia and Alaska. B.C. Minisrty of Forest and Lone Pine Publishing. 1994. 4) Rook, Earl. Plants of the North. http://www.rook.org/earl/bwca/nature/flora.html. September 27, 2002. 5) Rose, Robin, Caryn Chachulski, and Diane Haase. Propagation of Pacific Norhtwest Native Plants. Oregon State University Press, Corvallis, OR. 1998. 6) VegSpec. Phil Smith, Project Manager. http://ironwood.itc.nrcs.usda.gov/Netdynamics/Vegspec/pages/HomeVegspec.htm, USDA, Natural Resource Conservation Service. April 7, 2003.